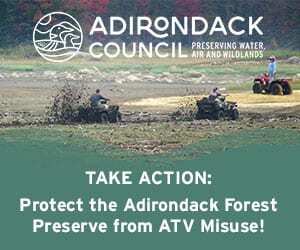 The New York State Department of Environmental Conservation (DEC) issued a warning Wednesday afternoon that unsafe conditions will remain in much of the backcountry of the Adirondacks through Labor Day Weekend and beyond following the devastating impacts of the remnants of Hurricane Irene. The most seriously affected areas include of some most popular areas in the Eastern Adirondacks. Several trail areas are closed or inaccessible due to Hurricane Irene storm damage include flooding, bridge wash outs, trail wash outs and blow down » Continue Reading. Visitors to the backcountry of the Adirondacks should be prepared for snow, ice and cold, and use proper equipment, the New York State Department of Environmental Conservation (DEC) advised today. Winter is an opportune time to take advantage of all that the Adirondack Park has to offer, however, the season can also present troublesome – even perilous – conditions to the unprepared. 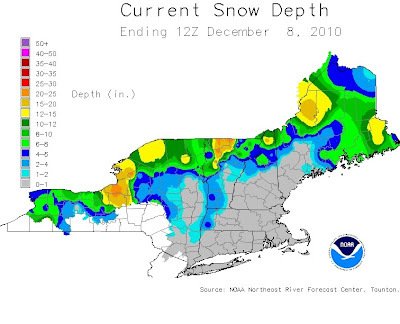 Snow cover in the Adirondacks is now several feet deep at higher elevations. Visitors to the Eastern High Peaks are required » Continue Reading. What follows is the September 2013 Forest Ranger Activity Report for DEC Region 5, which includes most of the Adirondack region. Although not a comprehensive detailing of all backcountry incidents, these reports are issued periodically by the DEC and printed here at the Almanack in their entirety. They are organized by county, and date. You can read previous Forest Ranger Reports here. These incident reports are a stern reminder that wilderness conditions can change suddenly and accidents happen. Hikers and campers should check up-to-date forecasts before entering the backcountry and always carry a flashlight, first aid kit, map and compass, extra food, » Continue Reading. What follows is the August and September 2012 Forest Ranger Activity Report for DEC Region 5, which includes most of the Adirondack region. Although not a comprehensive detailing of all backcountry incidents, these reports are issued periodically by the DEC and printed here at the Almanack in their entirety. They are organized by county, and date. You can read previous Forest Ranger Reports here. These incident reports are a stern reminder that wilderness conditions can change suddenly and accidents happen. Hikers and campers should check up-to-date forecasts before entering the backcountry and always carry a flashlight, first aid kit, map and compass, » Continue Reading. 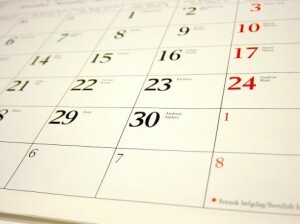 We’ve gathered the best links to regional events calendars all in one place. Visit the Adirondack Almanack every Friday to find out everything that’s happening around the Adirondacks. The Almanack also provides weekly back-country conditions reports for those headed into the woods or onto the waters this weekend. The Almanack also provides weekly back-country conditions and hunting and fishing reports for those headed into the woods or onto the waters this weekend. 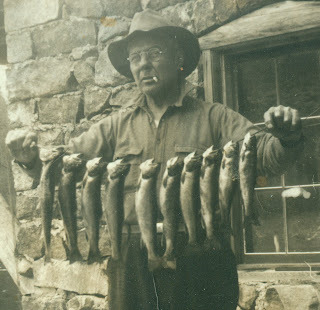 Adirondack Almanack provides this weekly Hunting and Fishing Report each Thursday evening, year round. The Almanack also provides weekly backcountry recreation conditions reports for those headed into the woods or onto the waters. Listen for the weekly Adirondack Outdoor Recreation Report Friday mornings on WNBZ (AM 920 & 1240, FM 105 & 102.1), WSLP (93.3) and the stations of North Country Public Radio.